Enhance your costumes with Double Platinum's gorgeous assortment of embellishments. From delicate florals to dazzling diamonds, there is something to turn every garment into a one-of-a-kind. 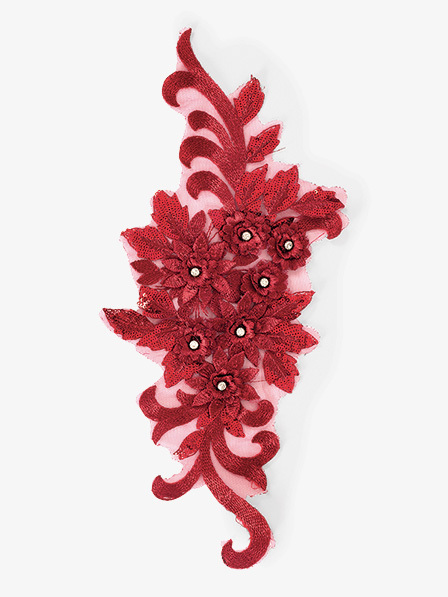 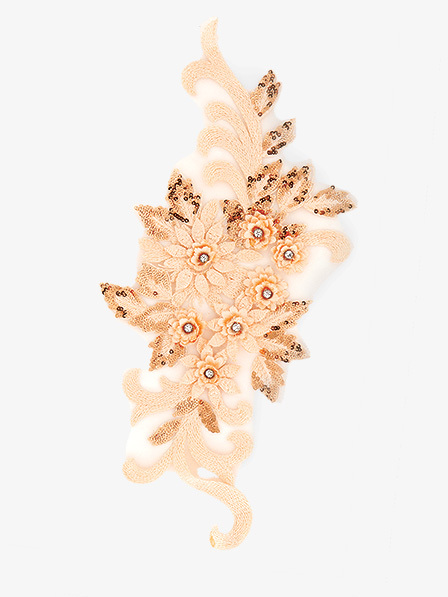 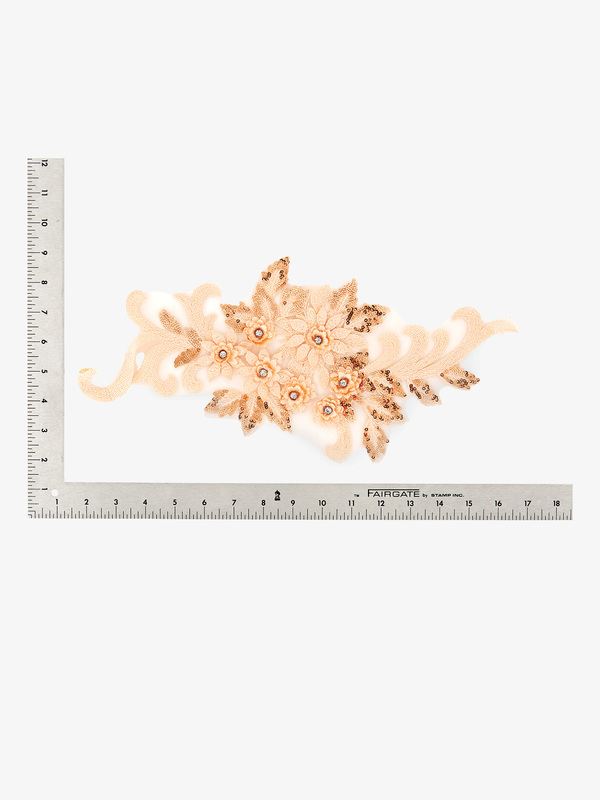 Applique features a floral and scroll design with beaded, sequin, and rhinestone detail. 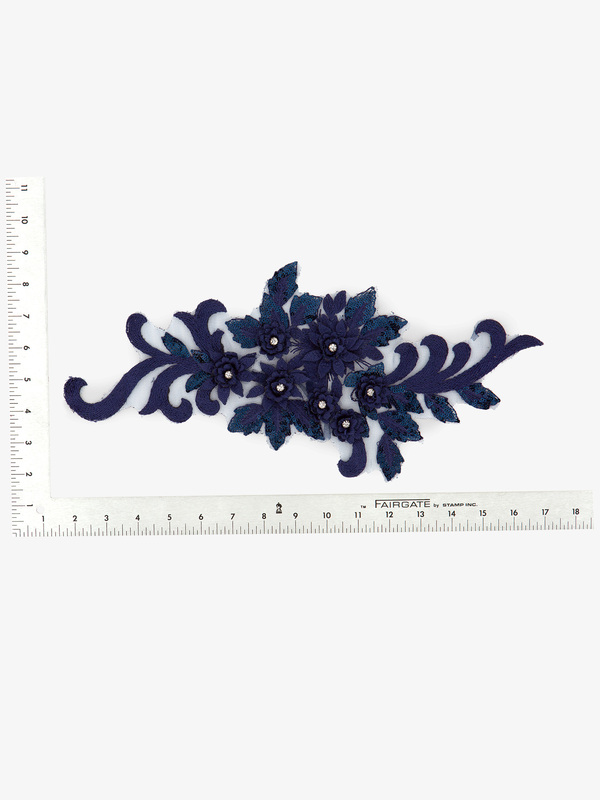 Construction is flexible which allows applique to wrap around garment. Sew on for best application.